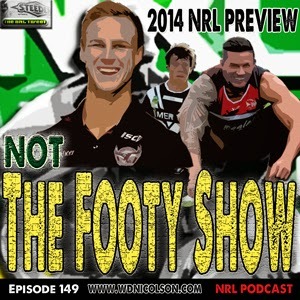 Join NOT The Footy Show for NRL Season 2014! Straight up - we will not be doing weekly regular shows like we have in the past (though we may pump out a quick tips pod every week... maybe) but since we keep getting told by one or two fans every off-season that we can't go away for good... we will be around in 2014. THIS WEEKEND WE RECORD OUR 2014 PICKS PODCAST - SEND US YOUR PICKS HERE AND WE'LL READ THEM OUT ON EPISODE 149 - released Sunday Night! The format will simply involve doing short 20 minute shows here, there and every so often - basically whenever the game demands that your favourite collection of Rugby League Lovers can find the time to not only record - but then edit the 'gold' that you've become accustomed to over the last five years. 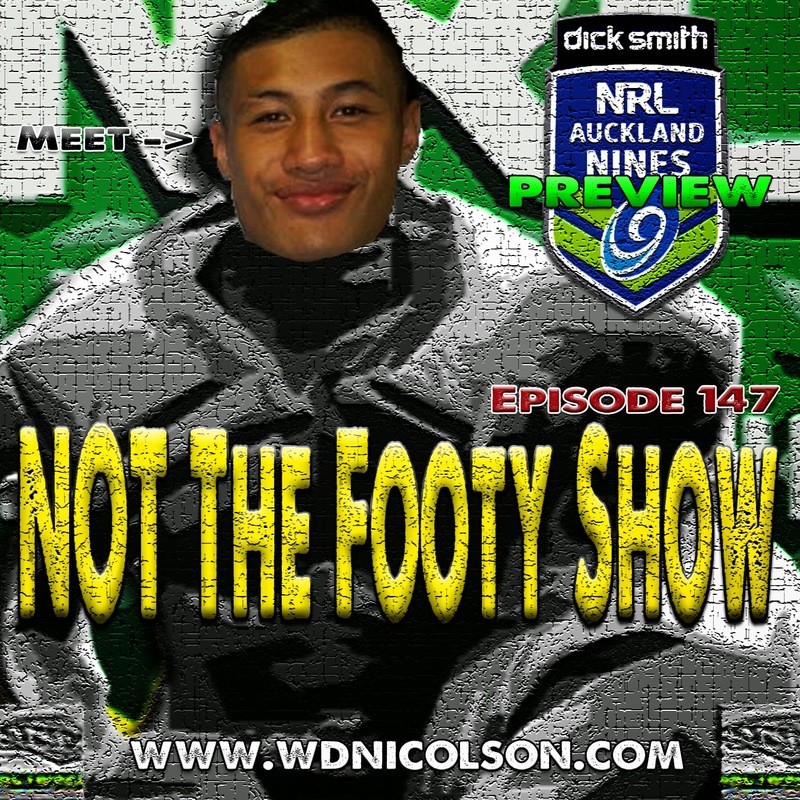 Yep, we enter SEASON FIVE in 2014... and we've come a long way since recording our first official show in front of Ray Price's crotch at Parramatta Stadium before the 2010 NRL Season (though Nic and Waz did record a bunch of YouTube Video Shows during the 2009 Finals - that time in front of a Pizza shop in Sydney's north west). So the good news is you haven't heard the last of DC, Nic, Maria, Matt, Jake and Waz... but like in 2013 - you just won't hear as much of them as you did from 2010-2012. However - there will be new semi-regular guests... so that's a bonus. 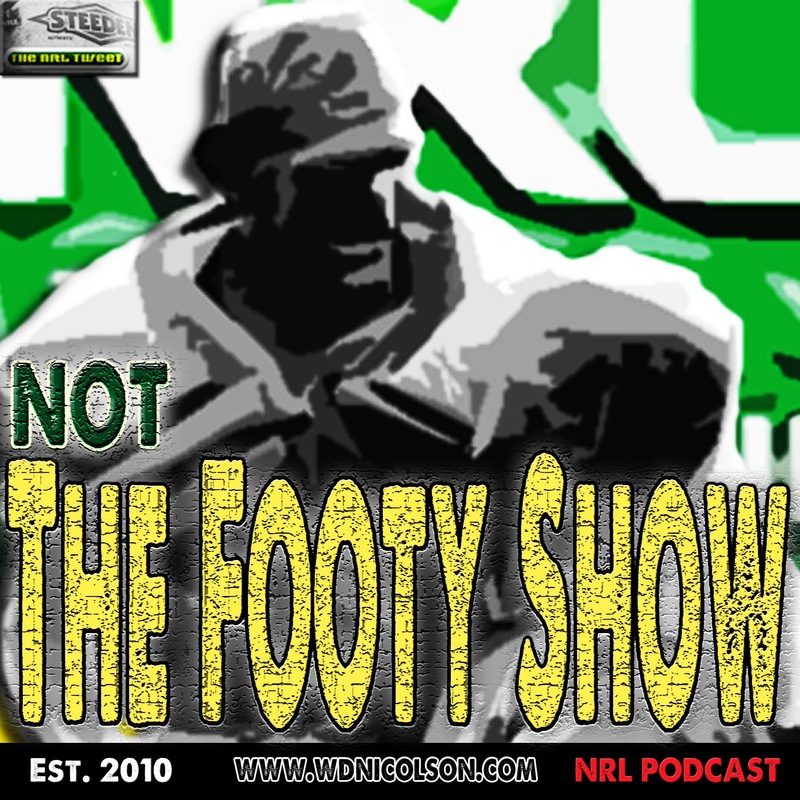 So jump onto itunes and subscribe if you haven't bothered up until now and... tap into the NRL Podcasting Odyssey that just won't go away. Looking forward to it? Let us know on the FB Page please - why not share the love? If you play any form of Fantasy Footy in 2014 - you'll need to keep a close eye on the NRL Dream Team Website for the coming weeks into the Season. The Postman has been tasked with ranking each position in order of the Top 10 he would pick in his Dream Team if money was no object. We're talking maximising big game output potential here and overall PPG value - investing in Cash Cows are nice and all - but these are the guys we think will simply PERFORM the best at EACH POSITION. Here are his picks for the Wingers/Fullbacks. But don't worry we will help you with the must-have Cash Cows once the Round 1 Teams are named. Remember the season starts next Thursday week and your Local Postman is along for the ride in an even bigger way this year. The team at Virtual Sports has wisely invested in The Postman's 'expertise' and I/he will be providing Fantasy Footy Content direct to the NRL Dream Team Website as well as their Social Media channels in 2014. Make sure you sign up to Dream Team here ASAP as 1st Prize is 20k + weekly $500 prizes and prizes for 2nd through 10th Overall! And there's also Eliminator and State of Origin Comps for a few thousand bucks each as well. Remember if you post on the Official Facebook or Twitter pages - we will answer ANY Fantasy Footy questions - not just DT - because let's be honest most questions apply to all games, not just one. 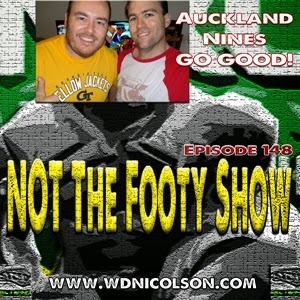 How good were The Auckland Nines! 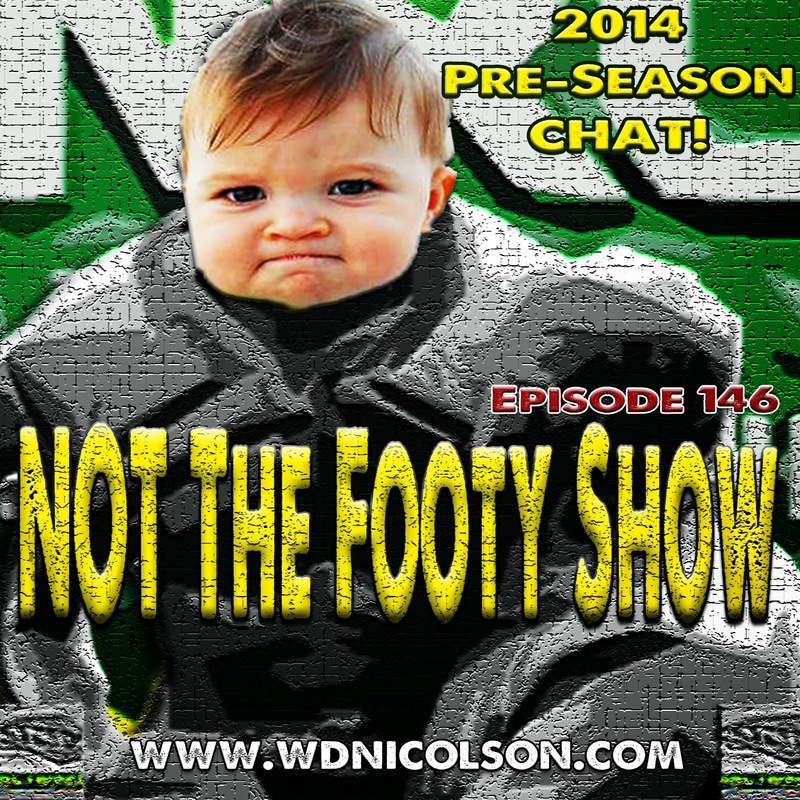 Join Waz and DC Chapman as they pass very positive judgement on what is clearly going to be a pre-season fixture for a very long time - and you'll hear Waz like you've never heard him before... delirious, because of - wait for it: too much football.